Giving you time to work on the business and optimise your business & personal opportunities. To get ‘unstuck’ and move forward. You’ll go from ‘stressed’ and overworked to having more time with less ‘pressure’. 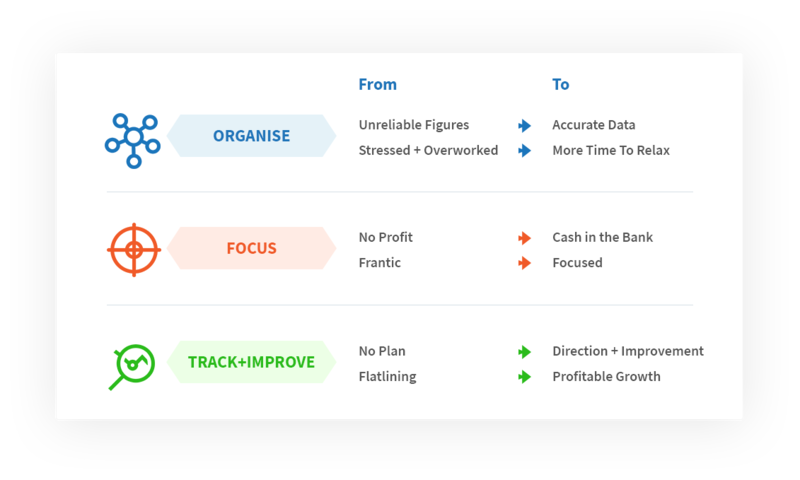 With the figures ‘up to date’ – you can see what you need to do to go from ‘frantic’, with NO CASH, to ‘focused’ with money in the bank. With a PLAN you’ll have direction to IMPROVE your business To go from ‘getting nowhere’ to making more money and ‘getting ahead’. You are NOT paying extra for unused services. It is NOT based on a fixed quantity of services delivered. With a proven 3 STAGE process and 3 STRATEGIES per stage. The system simply, gives you a better understanding of your numbers and your business so you can always make informed decisions. Your Essential Back Office Team keeps you organised, on track and focused. WORK LESS with LESS STRESS while building a better future. I have engaged their services over many years and have always been impressed by their proffessionalism and thoroughness in all that I require. I have found them innovate, up to date with market trends and I have always appreciated the fact they understand my business desires. Save up to 40% with your external virtual team doing the work. Our Bookkeeping System will SAVE YOU TIME and will SAVE YOU MONEY. And can also save you thousands accounting & tax fees. And deliver Actionable Insights and Financial Intelligence more than just ‘number crunching’. Your dedicated, amazing Expert Team of bookkeepers, accountants & financial consultants are always available to assist you. Giving you more TIME to run your business and will show you HOW to IMPROVE. Watch your profits increase and your value rise as you boost efficiency. Freeing up the TIME, with the right information you need to grow your business and build your wealth. What does All Trades Bookkeeping do? All Trades Bookkeeping provides specialised bookkeeping services for trades, construction, and property businesses. ATB is your ‘VIRTUAL BACK OFFICE’ – a team of professionals using the state of the art, real time bookkeeping ‘cloud’ solutions, working with you ON your business. Our aim is to improve your profit and increase your cash flow and produce more efficiency, so you get to do what you do best. How do you help trades, construction, and property businesses and How are you different from other bookkeepers? 1. ATB provides you the financial intelligence to help you make informed financial decisions to make your business easier and your lifestyle better. We give business owners a proven bookkeeping a system underpinned by technology with the right people to help you make your business so much easier to run. The Business Optimiser Bookkeeping System combined with our Virtual Back Office Solution will free up more of YOUR time. PLUS, give you everything you need to drive more profits, improve cash flow and create more opportunities to build a better future for you and your family. 3. Our expert ‘qualified’ bookkeeping team work diligently to keep your data pristine. PLUS, it is double checked by an accountant – ensuring your data will ALWAYS be up to date, ACCURATE and reliable. So you’ll never be left high and dry. 4. We go beyond mere bookkeeping. We arm you with the actionable numbers you need to grow your business, improve your lifestyle, and build your wealth. How are you different from other bookkeepers? Firstly, we specialise in helping trades, construction, and property businesses. That means we understand your business, know your numbers, and have proven systems to enter, analyse and report your financial information quickly, accurately, and affordably. Secondly, we go beyond mere bookkeeping. We arm you with the actionable numbers you need to grow your business, improve your lifestyle, and build your wealth. Why do you focus on trades, construction, and property business? Over the past 31 years we have helped hundreds of trades, construction, and property businesses. We understand your business, know your numbers, and have developed a proven Business Optimiser Bookkeeping System with 9 Core Strategies to give you the information you need to ORGANISE – FOCUS – and IMPROVE your business so you have more profit and a better lifestyle. Frankly, we have the experience to get you the results you’re looking for – quickly, accurately, and affordably. We work with various types of businesses. Our preference and core focus, is to work with trades, construction, and property business owners. Our clients are from all over Australia – from Queensland to Tasmania and from Melbourne to Perth. As we are based in Melbourne we have a significant number of clients from Victoria. What's your philosophy when it comes to helping trades, construction, and property business? The trades and construction game is tough. There are tight deadlines, fine margins, and back-breaking work. Your day often begins at dawn and doesn’t end until the admin and quotes are completed at night. To get ahead and have some lifestyle flexibility, you need to take control of your business, plan for your future, and drive bigger profits and cash flow without working 70+ hours a week in the process. While generalist bookkeepers can usually handle simple tasks like data entry and compliance reporting, the Business Optimiser Bookkeeping System with our Virtual Back Office Solution, arms you with the actionable numbers you need to Get Organised – Get Focused – Constantly Improve your business. 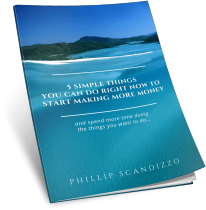 Which will free up your time to; work ON your business – improve your profits, increase your cash flow, put more money in the bank which will create opportunities to improve your business and improve your lifestyle. The Business Optimiser Bookkeeping System and your Virtual Back Office Solutions are bundled together into one low monthly FIXED PRICE, specific to your business requirements. YOU ONLY PAY FOR WHAT YOU NEED so you are NOT paying for any unused services. We’ll build a customised bookkeeping & accounting package for your business based up current & future needs. We can do all the bookkeeping for you or supplement your in-house team. We price the monthly bookkeeping, accounting & management services based upon the number of manual or data fed transactions as well as the complexity of the end of month or quarterly close, including number of balance sheet accounts to be reconciled & the complexity of the reporting package. Fixed rates start from as little as $375 per month. [less than $87 a week]. If your books are a mess (don’t worry, we guarantee we’ve seen worse), we’ll give you a firm quote to get things back in order. Please contact us to discuss your situation. But I know a bookkeeper who will work for less! Our prices are average. They are not the cheapest nor are they the most expensive. 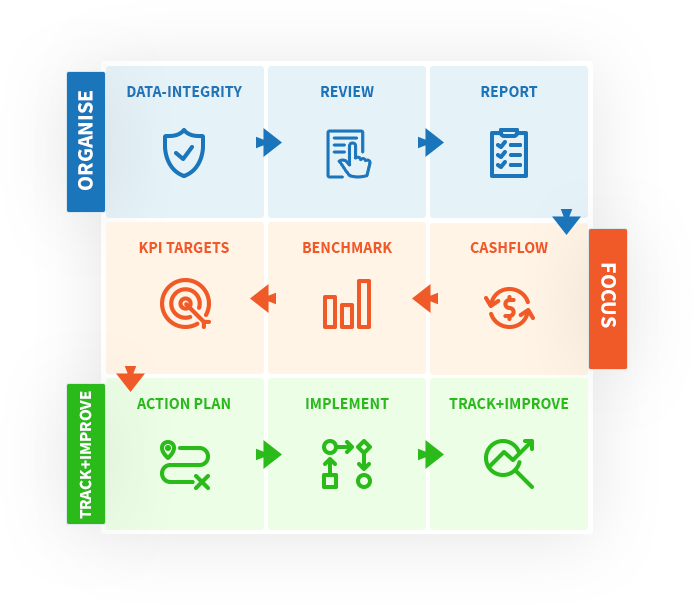 However, your professional Back Office Team provides you with the relevant reporting you need to take control of your business, plan for your future, and drive bigger profits and cash flow. While we can certainly help you get caught up with your bookwork, our whole philosophy is about arming you with ACCURATE actionable numbers you can use to make the right decisions. While our fees are average, we believe our service is above and beyond and offers significant value. Who's behind the All Trades Bookkeeping? Phillip and Ann Scandizzo and the founders of All Trades Bookkeeping. They have been serving clients as an Accountant and Wealth Advisor for more than 31 years. Phillip is an active property investor, developer and advisor. In the course of running his own property development projects, he has developed relationships and experienced many trades, construction and property business owners. Both Phillip and Ann have a good rapport with the building trades, construction and property development business owners. Over the years they have been fortunate to help many of these business owners with their bookkeeping, accounting and business growth. Over time this evolved into All Trades Bookkeeping, creating a unique and simple approach called the ‘Business Optimiser Bookkeeping System’ which incorporates a ‘Virtual Back Office Solution’, which is designed to help you make running your business a lot easier. They understand that you need an affordable bookkeeping operation which; is accurate and reliable, frees up your time to work on your business, gives you the guidance and the financial information you need to take control of your business so you can drive more cash flow and bigger profits and plan for your future. Over the past 31 years we’ve helped hundreds of trades, construction, and property business owners to take control of your business, plan for your future, and drive bigger profits and cash flow. Strategy Session to review your current situation and your objectives.